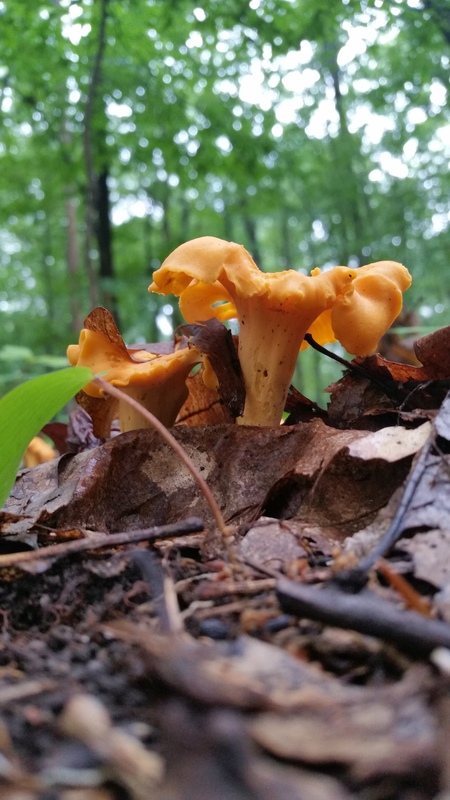 One of the wonderful things about wild Chanterelle mushrooms is that they often appear in great abundance. 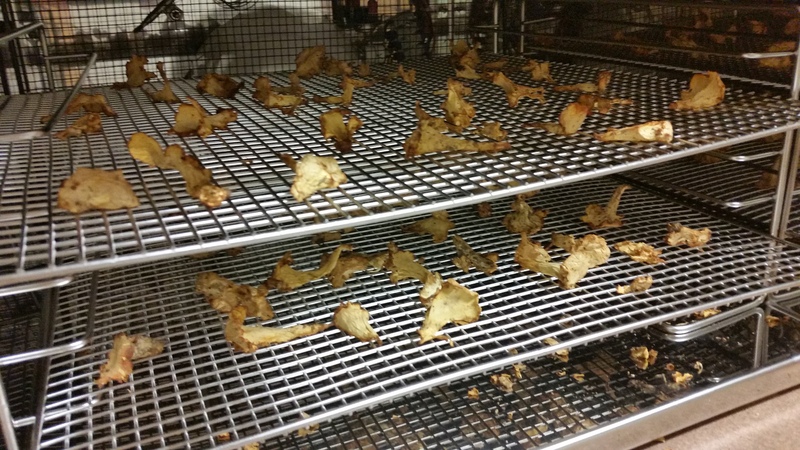 Wanting to save the mushrooms for future use I placed those harvested in a dehydrator to dry. 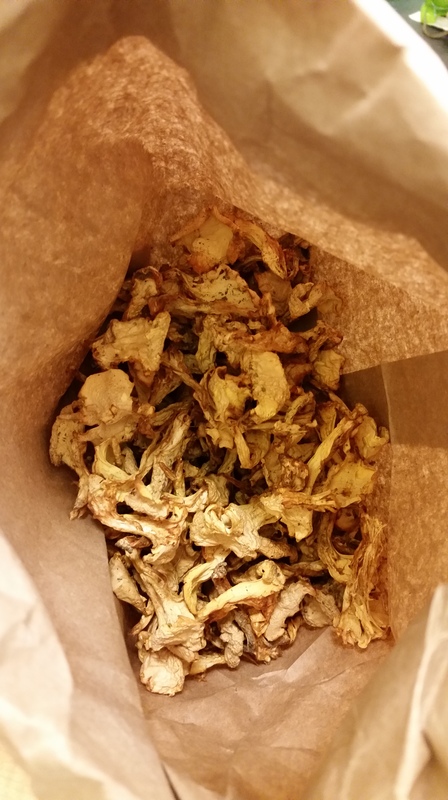 Some were cut in-half for faster drying while others were left whole taking longer to dry before reaching the point of crackle. 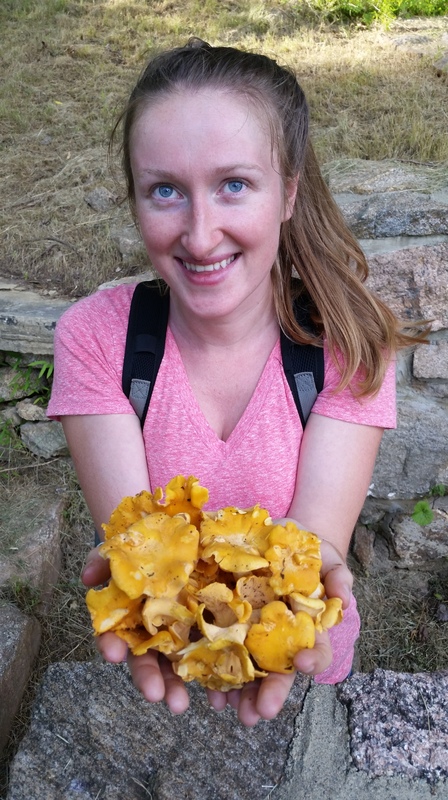 The dry mushrooms have a fantastic fruity nutty aroma that I find difficult to compare to anything else. 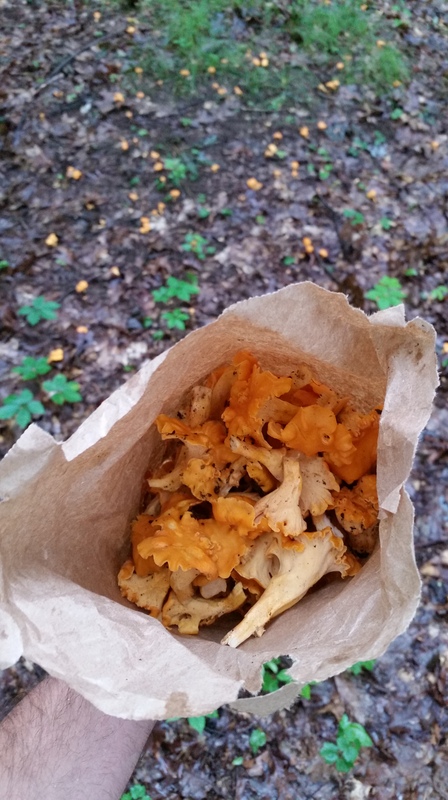 After exploring two more dominant oak and fern forest areas we found many more chanterelles. 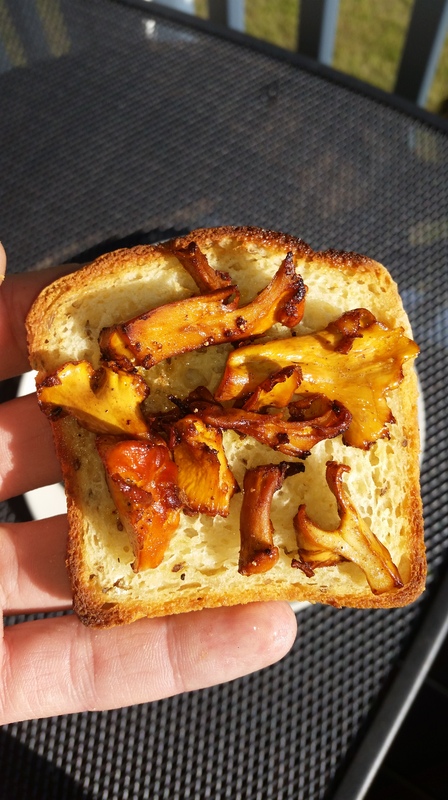 Some we simply fried fresh in butter, seasoned them with salt and pepper and placed them on a rye toastie.